How to Connect the MaxSonar's Ultrasonic Pins to UART Pins? While I was in tech support, there was a customer who asked how to connect to the ultrasonic range finder's UART pins and read the output. 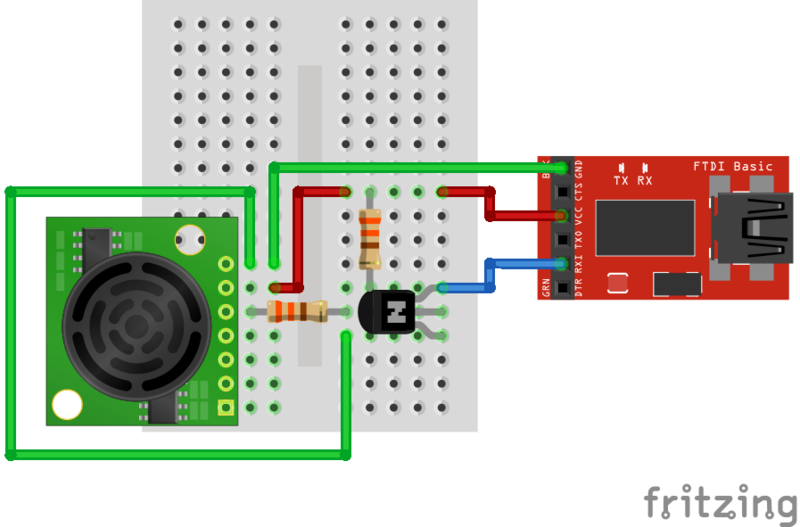 I knew the sensor could be powered at around 5V from a previous tutorial that used its analog pin. Therefore, I assumed that the input was TTL with a voltage range of about 0V to 5V. Depending on the circuit, the signal has a voltage range of 0V for a logic low ('0') and +3.3V to +5V for a logic HIGH ('1'). 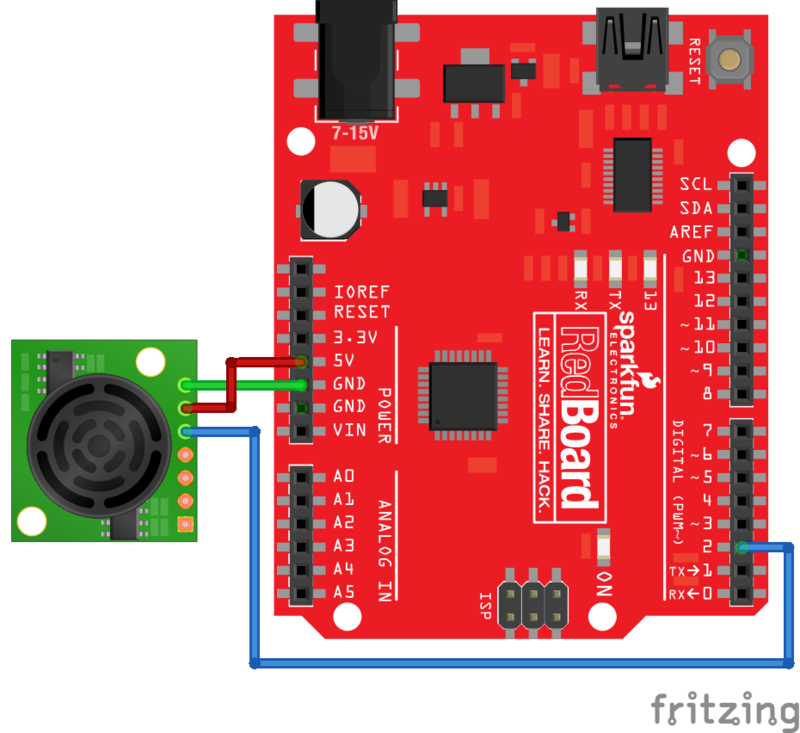 The obvious choice was to connect both GNDs as reference, the Tx to Rx, and vice versa to another device's UART pins. Right? But wait?!? I usually think of RS-232 as having an inverted signal with a voltage range of about +/-12V! Depending on the circuit design, the recommended RS-232 Standard can accept a voltage range between +3V to +25V for a logic LOW ('0') and -3V to -25V for a logic HIGH ('1'). I was puzzled. 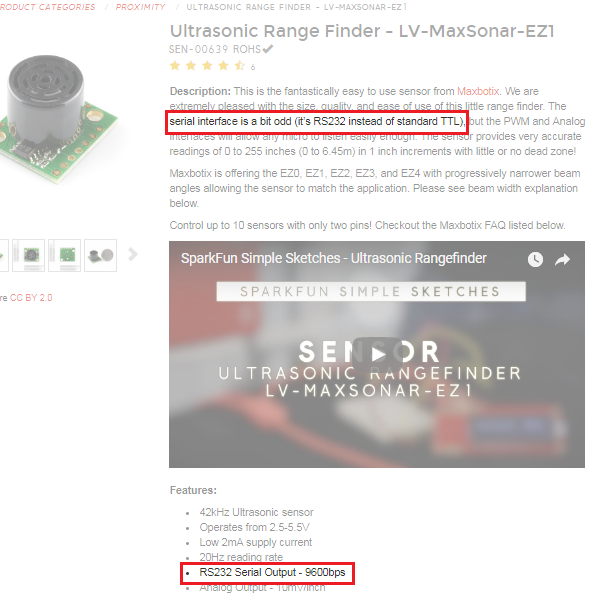 The specs on the ultrasonic range finder's serial is counterintuitive to everything that I knew about RS-232 and TTL! This was not a trivial question that could be answered that moment. I had to do some digging to test and see what was going on. I had the correct baud rate, so it was not a baud rate mismatch. I then remembered that RS-232 had a characteristic of being an inverted signal! I had a few ideas for approaching this problem. In my solutions, I discovered the ultrasonic range finder's output had a combination of RS-232 (an inverted signal) and TTL (voltage range between 0V up to 5V) as the datasheet stated. To distinguish this output from the other two, I decided to call this an "inverted TTL" signal. Other sources might call this a "signal inversion" or an "inverted TTL-level signal." Note: Depending on the specs of your transistors, you may need to adjust your resistor value. The 330Ω resistor was sufficient enough in this circuit. After building the circuit on a mini-breadboard, I connected it to my computer. Opening Tera Term again, I started receiving coherent sensor data as expected as I moved an object in front of the sensor! I was curious whether there was a way to read this "inverted TTL" signal without the transistor and resistors. 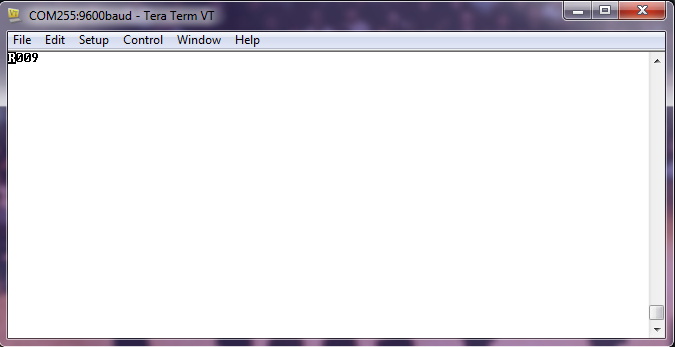 Theoretically, it should work with some code since the output just needs to be flipped. 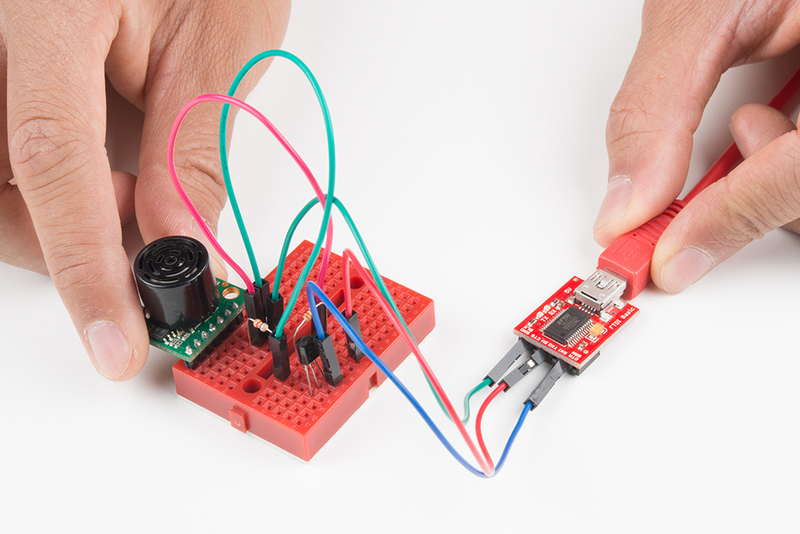 Looking online, I eventually discovered that Arduino has an extra parameter that easily flips your serial data! 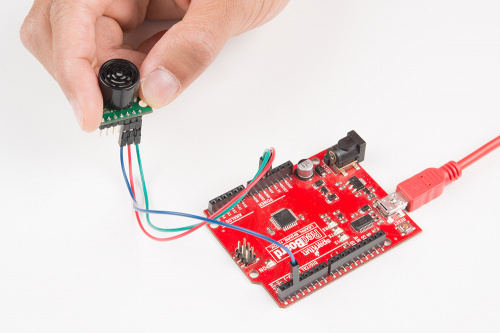 If you have an Arduino (i.e., RedBoard or Arduino Uno - R3), you can connect the ultrasonic sensor's UART to an Arduino's software-defined UART. After connecting the sensor to my Arduino, I connected it to my computer. By defining the software serial UART and setting the third parameter as true, the signal would be inverted back to normal. I decided to add this parameter in a basic serial pass-through code that is used in a few of our hookup guides. 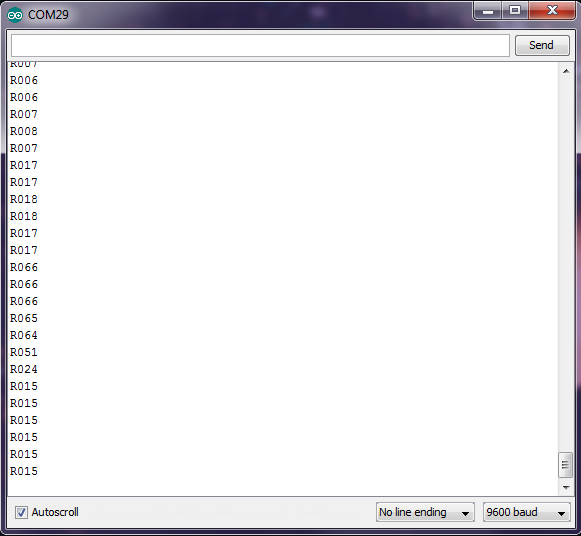 By opening the Arduino serial monitor, I was able to read the sensor data as expected. 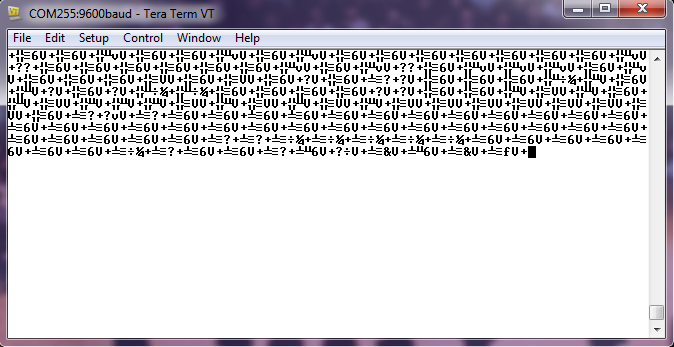 However, it was a bit hard to read. I decided to add a few condition statements to print data on each line. 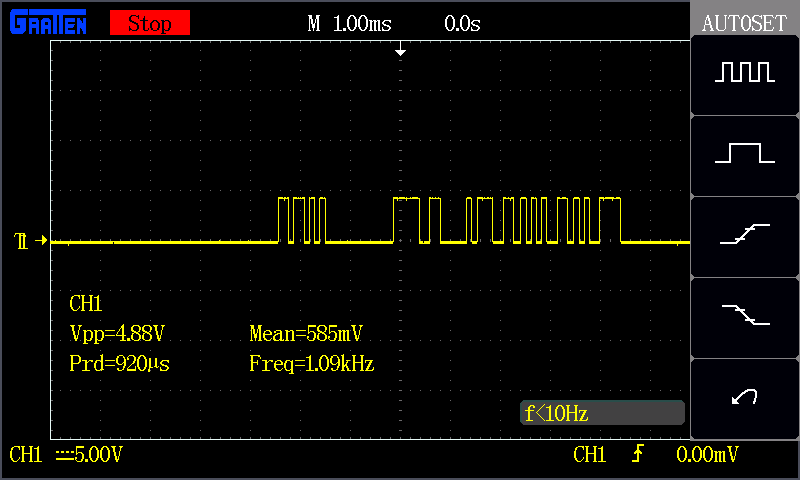 If you ever run into this issue where the serial output is not your standard RS-232 or TTL from a Tx pin, it might be an "inverted TTL" signal that might require a basic NOT gate or some additional code to read. Always make sure the voltages are safe before connecting the serial device to your system. I hope you enjoyed my not-so-trivial tech support problem and how I helped the customer out. Until next time!